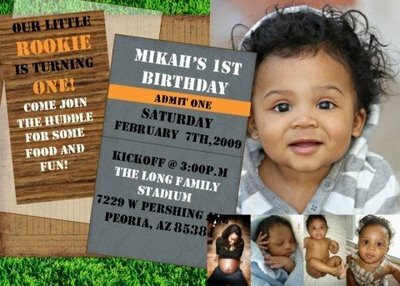 Invitation I made on MPublisher……got the idea from an invitation I found online! The cake I imagined in my head…did some sketches…turned out great! 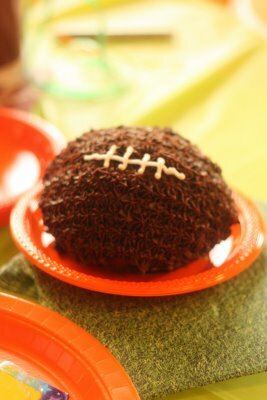 Had FUN carving the football on top….not as easy as I thought it would be though! 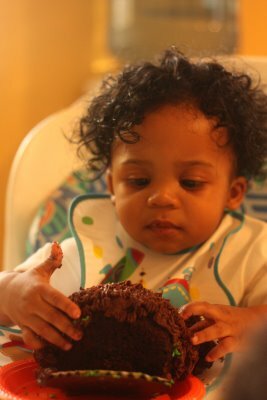 So we celebrated Mikah’s First Birthday this weekend with family and friends! Thank you so much to all that came and celebrated with us! We really hold all you guys close to our heart! I had the chance to do all the planning which I love to do. I also had a chance to use my fancy camera! 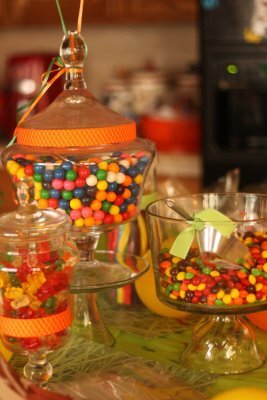 Candy Bar I set up….it was yummy and everyone was digging in! 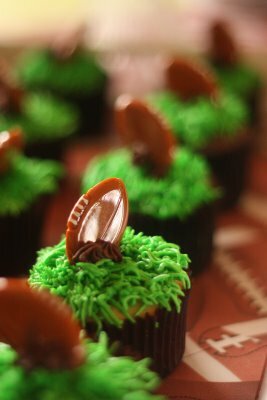 Football cupcakes…it’s so funny, because I thought that I would find TONS of football stuff on sale, because the season was over….boy was I wrong. I couldn’t find ANYTHING!! :0) But luckly I got these picks on clearance..in a deep deep bin at Party City. The football paper I got a JoAnns! 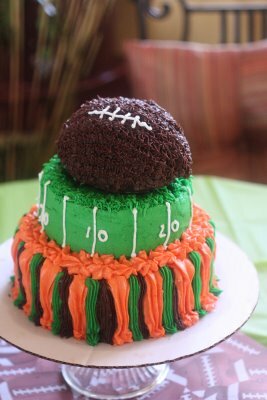 The whole concept, decorations, and treats are all beautiful =). 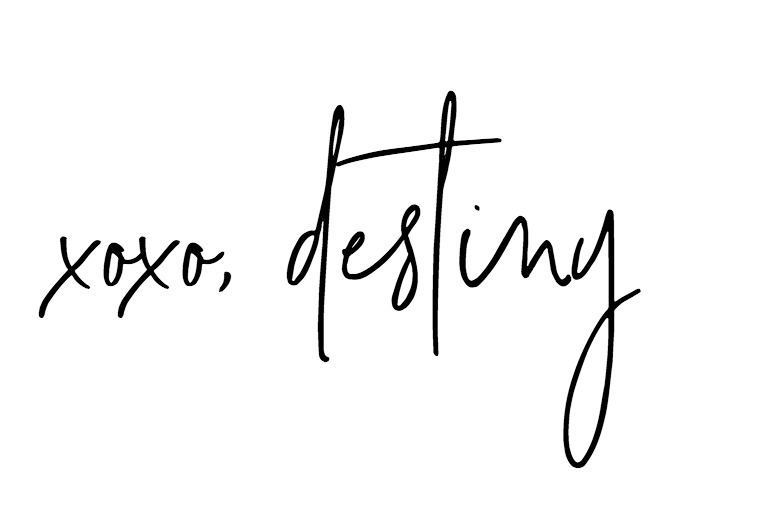 Super cute, love your blog. Will be back! Keep them coming. Ummmmm….ummmmmmm…ummmmmmm…ummmmmmm….Ok thi looks adorable but I’m pretty sure that I didn’t get one of those cute little invites and was not sure if you were having a party or not. What’s up with that???? Remember our YAHOO converstion! Just didn’t get the invite to you becasue I thought I would see you on Friday for dinner!!! sorry Hun! Love the pictures!!! 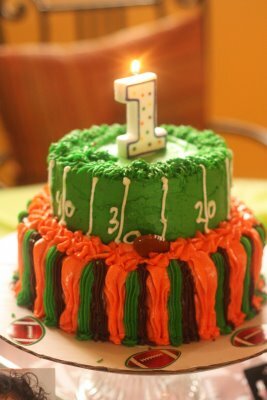 OMG time fly pretty soon we’ll be planing our boys birthday parties again.